Based on the teachings of Shri Mahayogi and their application by practitioners. Before reading the latest article in Pranavadipa I never really gave much seriousness to my diet or how a meal came to be in front of me. Not that I ate junk food, but I never really put much thought into my meals and the effects they have on me. 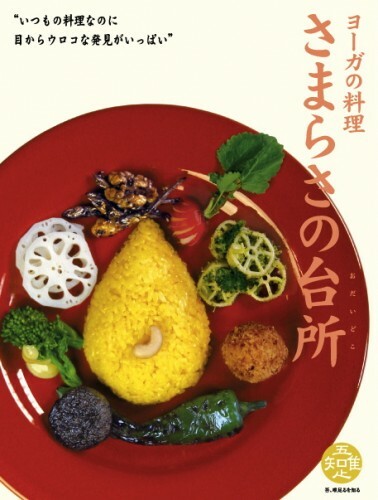 In the article, “The Essence of Diet in Yoga,” the last sentence reads ” ‘Eating’ is directly related to ‘living.’ What we choose to eat and how much we eat—by considering these aspects of our diet, our dietary lifestyle becomes an opportunity for us to inquire into the essence of our lives and how we ought to live.” Our diet is piercing into the essence of the state of our mind. Speaking from my personal experience, I have observed that my eating habits or sudden urges for a particular food usually reflect the state of my mind; whether the mind is in a state dominated by the quality of sattva, rajas or tamas. Naturally, when asana is practiced regularly the mind has more of the quality of sattva and I tend to desire more vegetarian-style meals; then there are those times when my cravings are meatier and I tend to eat until I am full. During these times it becomes clear that my mind is in a state in which rajas or tamas prevails. My judgements are not usually the best, and old habits become more difficult to fight. As the saying goes “you are what you eat.” It is important to remember that eating is the transfer of energy, from one life form to another, to further its existence. That energy comes to be manifested in us, and can be restless or calm. In The Universal Gospel of Yoga, Shri Mahayogi speaks of Gandi and how by controlling his diet he was able to gain control of his tongue and sexual energy. In addition to the types of foods we eat and how they affect our mental state, the attitude we have towards our meals will also influence the mind. From correct portion size to the importance of balancing how a meal is seasoned, proper nutrition is vital to support our bodies as we aim to realize the goal of Yoga. In showing gratitude towards each meal for how it got to our table—from the grocery store clerk, to the driver who transports, to the farmer who plants and to God who nourishes the plant to grow—and in taking the time to appreciate these processes, we begin to recognize that all things in nature co-exist and support each other. As practitioners of Yoga, having a yogic diet that is primarily vegetarian, as well as balanced and nutritious, greatly aids us in the battle to control the mind. Being mindful and showing deep appreciation for nature’s co-existence, I now give much more thought as to how much I eat, what I eat, and what kind of energy I want to incur, calm or restless. I offer gratitude for each component that gave up its life energy so that I am able to sustain and nourish this body. Pranavadipa is a Monthly Publication of Online Study Material containing the Teachings of Satguru Shri Mahayogi Paramahansa ＆ the Experiences of Practitioners that is available by annual subscription. 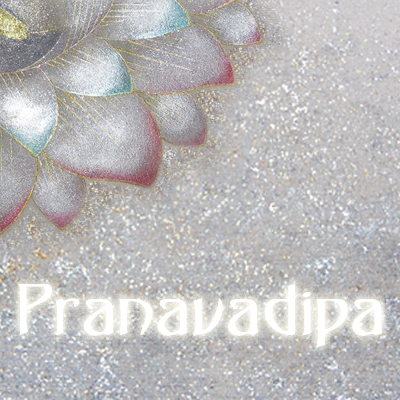 A new volume of Pranavadipa is issued on the 8th of every month, that means this Saturday August 8th!! !